Monster and Beats by Dr. Dre bring Diddybeats earphones to the UK | What Hi-Fi? 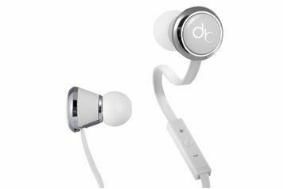 And now Sean 'Diddy' Combs – once known as Puff Daddy – has joined the party with his Diddybeats earphones, now available to buy in the UK for £140. More than just a celebrity tie-in, we've been mightily impressed with the members of the Beats by Dr. Dre range that we've heard so far, and the Diddybeats promise to keep up the good work. 'Head Monster', Noel Lee said: “The goal of Beats by Dr. Dre headphones has always been to bring serious music listeners a new way to enjoy truly great sound. With Diddybeats, we were fortunate to be able to work with Diddy, one of the world's most meticulous recording artists, to fine-tune the sound, and the results are nothing less than astounding." Well, he would say that. The Diddybeats come with a travel case and selection of ear tips, and are also available with the Monster ControlTalk headphone cable, which sports a remote and mic for hands-free calls. For a full phone compatibility chart, visit the Monster website and click “ControlTalk”. The Diddybeats are available in the UK at a suggested retail price of £140.